You know that keeping your carpets clean will increase the value of your New Jersey home. However, you won’t always have time to spend a day scrubbing carpets to restore their color and beauty. Fortunately, you can turn the chore over to the professionals. Here are a few of the benefits of trusting this project to a professional rug cleaning service. Residential steam cleaners are bulky and difficult to store. They take up a great deal of space in the closet, plus you have to find a home for the upholstery attachments and related chemicals. It’s understandable that you would appreciate having one on hand to deal with spills, but the fact is that a handheld unit actually works better for the occasional spill. Rather than trying to store the full-size machine, just buy a little one to handle small problems. Then you can call the professionals to handle cleaning the whole carpet and let them deal with storing the equipment. The problem with cleaning your own carpet is that it is tedious and tiring. The machines are most effective when you pull them back slowly, but this means that you will wind up spending a great deal of time on your feet. When the job is done, your back is probably going to be complaining loudly about how tedious and boring the chore was. When you turn the chore over to a professional team, you won’t have to worry about a sore back the next day. The professionals are accustomed to this type of work, so their muscles are conditioned for it. They also have more powerful equipment, so the process won’t take them as long to begin with. Another benefit of hiring the professionals is that you won’t have to worry about moving furniture. Handle the chore yourself and you are the one moving furniture there and back again. Turn it over to professional cleaners and you can let them deal with moving that heavy couch. The professionals always have access to better equipment and supplies than the average homeowner does. They have steam machines run by powerful truck-mounted engines. You will not find the same kind of power in any residential machine, nor will you have access to the same powerful chemicals that the professionals use on a regular basis. The fact is that you can clean your carpet every week and it still won’t look like the professionals cleaned it. If you are struggling with stains or odors, trust the work to the professionals for a clean and beautiful look. Finally, the professionals are faster. You would spend an entire day cleaning the carpets in your home, but the professionals will handle it in a matter of hours. You can spend that time focusing on other things, and that’s worth its weight in gold. When your carpets are ready for a good cleaning, consider the benefits of calling in professionals cleaners in New Jersey. The carpets will be cleaner, and you won’t have to deal with the tedious labor. You will save your time, and you will save storage space when you aren’t trying to store a large steam cleaner. 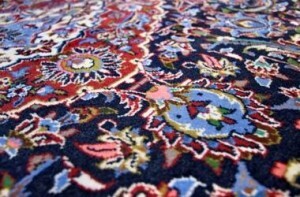 Visit http://www.highqualitycarpet.com/ to see what they can do for the carpets and upholstery in your home.